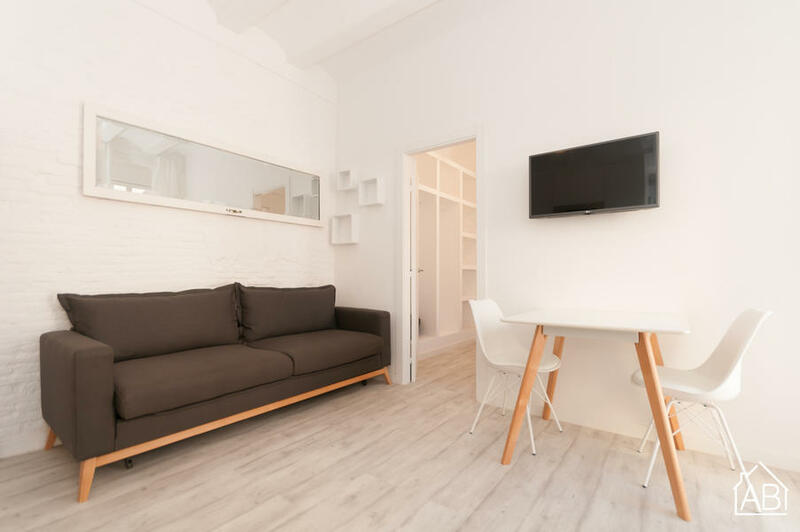 Just 3 minutes from Barceloneta beach, this beautiful one bedroom apartment offers guests free wifi and a balcony. It is just a 7 minute walk away from the nearest metro station. The apartment sleeps up to 2 people across one bedroom and has one double bed. There is a cosy living space with TV, and also a communal terrace. There is one bathroom. There is a fully equipped kitchen in the apartment with coffee machine, toaster, oven, microwave, juicer, and kettle. There is also air conditioning for the warmer summer months. Originally a fishing village, Barceloneta is full of incredible bars and seafood restaurants. It is favoured by the locals and tenants can enjoy a stay filled with culture and history, but at the same time remain well-connected to the rest of the city.